I can’t promise this soup’s worth your birthright, but it’s pretty good. We eat it every year on Parshas Toldos in honor of the soup that Esau sold to Jacob. It happens to also be easy, fast and incredibly cheap to make. Esau could have saved himself a lot of trouble and made it himself. 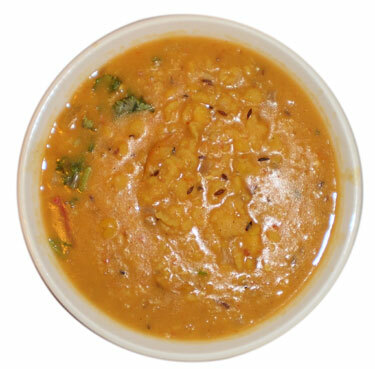 I’m including a delicious Indian dal recipe here as well. Eat it plain, pour it over roasted vegetables (we like it over eggplant, opo, red onions, peppers and garlic) or smear it on bread. Do yourself a favor, though, and don’t pour any “red stuff” down your throat. Saute the onion and garlic until brown (about 5 minutes). Add the other vegetables and tomato paste. Saute 2 more minutes. Add the lentils, salt, pepper and stock. 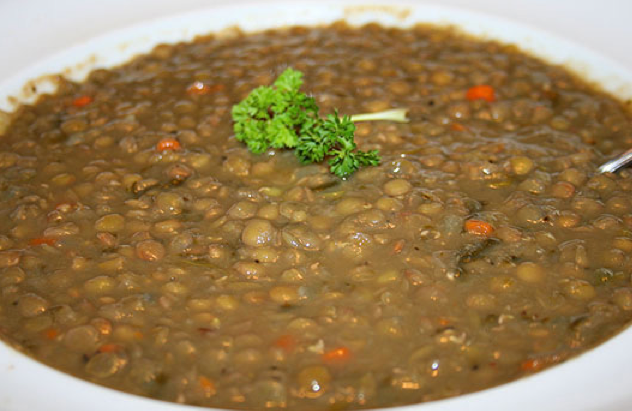 Bring to a boil and simmer until lentils are soft (30-40 minutes). Put the lentils, garlic and ginger in a pot and cover with water. Bring to a boil and simmer for 20-30 minutes, until lentils are soft. Continue to simmer, uncovered, until desired consistency. Add the other spices and soy sauce. *Available at Whole Foods or in health food aisles. You could omit this, but it won’t taste as authentic.